We've partnered with some amazing olive oil importers to bring you a collection of some of the most prestigious producers of extra virgin olive oil from the Mediterranean’s greatest regions: Greece, Tuscany, Chianti Classico, Alto Adige, Spain, Puglia, Campania, Lake Garda, Aix-en-Provence & Cotes du Rhone. 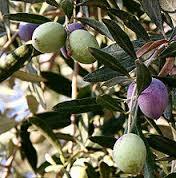 And we've started a club to help you get acquainted with these fine, exclusive and very limited production Olive Oils. One bottle per month, with emailed descriptions of the oils' provenance, terroir and qualities. The prices per bottle range from $20 to $35 per bottle - these are extremely high end oils at a very fair price. While we aren't offering any discounts on the oils to club members, membership ensures that you will be able to puchase a bottle of these teeny production oils (generally we are bringing in under 12 bottles each, but this month, we have enough on hand that non-club members can buy a bottle if they wish).